There’s a lot of changes that happen during those tween years – which involve a lot of challenges for parents. 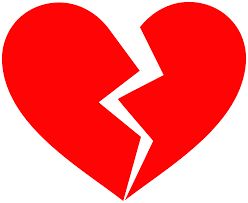 I think one of the most painful parts of parenting is “The Break Up.” And I’m not referring to the break up with their first crush, or with their bestie, but their break up with YOU – their parent! In order to gain independence, your tween needs to begin separating from you. They need to begin parting with their childhood. Tweens do this by getting changing everything that seems childish to them – getting rid of old toys, changing the decor of their room, AND detaching from you. Holding hands with you in public may no longer be cute, and hanging out with you gets replaced with hanging out with their friends. They no longer want to wear a name tag that says “HELLO! I belong to Mr and Mrs. _____”…but rather change their name tag to “HELLO! My name is ____” They need to find other people to play boardgames with, cry with, and share their secrets with. They no longer want to dress up to look like you, but rather spend their time trying to look like their friends and teen characters they see in magazines and on TV. Don’t get me wrong…it’s not a complete break up. It’s long and drawn out…and still under your roof with your rules. It’s like them learning to swim while you hold them afloat, or learning to ride their bike with you running along side to catch them when they fall. A tween obviously isn’t ready to be completely break up with their parents, but they start that long break up – with many make-up sessions over the years.